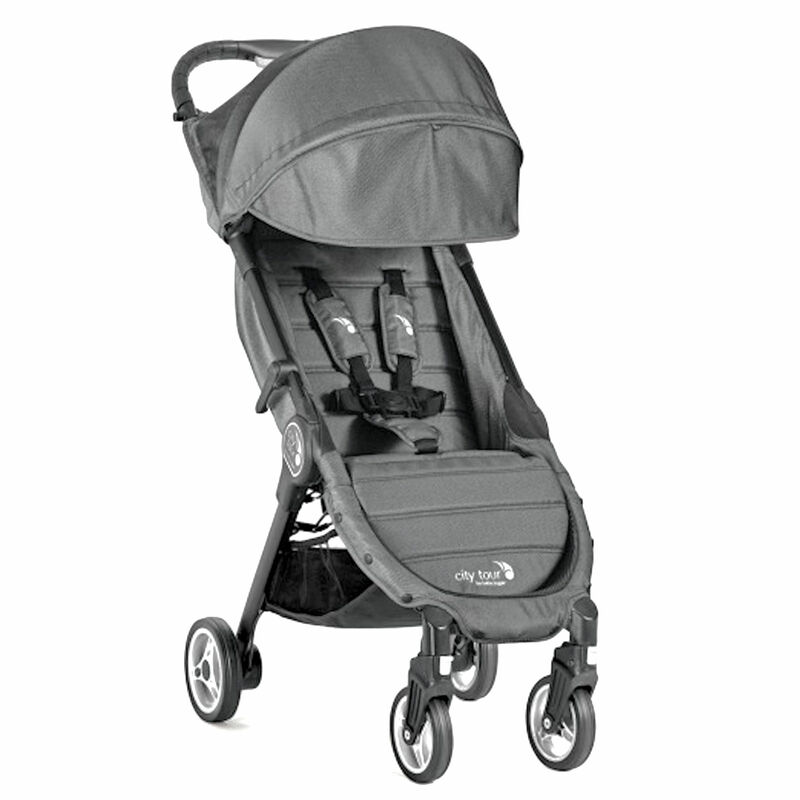 The Baby Jogger City Tour is the awesome new addition to the Baby Jogger family. From acting on research about what parents want from a stroller, the City Tour has been designed to be ultra-lightweight at only 6.6kg, offers a multi position reclining seat unit, folds with the use of just one hand and (once folded) fits neatly into its own backpack-style carry bag, which can be comfortably worn like a traditional back pack and carried with absolute ease. Designed to be an everyday stroller, the City Tour is as durable and robust as you could hope for. It features a spacious seat unit which comes with a five-point safety harness and padded shoulder straps for additional comfort. The front wheels include shock-absorbing suspension to ensure a smooth ride for all and can be set to either swivel (for daily obstacle courses in the urban jungle) or locked (for long distance strolling). The City Tour also features an impressive four panel extending canopy which offers UV protection and an SPF rating of 50+. Ultra-portable, lightweight and cleverly compact, Baby Jogger’s City Tour is perfect for daily adventures, weekends away and for added convenience, is aeroplane certified so when travelling abroad, you can take the stroller on the aircraft for it to be stored easily in the overhead locker. Hows that for a nifty bit of kit! ?